Anyone who has gone to a major, multi-genre festival and witnessed the meager crowds attending most rock sets these days knows that guitar-based rock's days as the driving force in mainstream popular music are fast coming to end, if not already over. The emerging millennial and post-millennial generations just have little to no taste for the genre, and my guess is that within the next five to ten years, rock will have completed its transition from being our era's dominant musical trend-setter into another mainstream-ignored niche genre like jazz, blues, swing and heavy metal. But as with jazz, the blues, and metal, just because rock no longer appeals to the younger masses doesn't mean the genre is in anyway creatively dead. In fact, it continues to thrive, and my guess is will continue to do so for decades to come despite the diminished market attention. This mix then, celebrates those 2017 rock purists who soldier on in that vein, keeping that no-frills guitar-bass-and-drums spirit alive. 1. 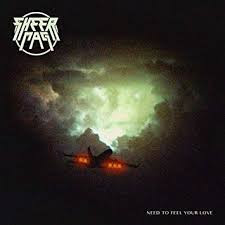 Meet Me In the Street - Sheer Mag: The youngest act represented on this list, Philadelphia-based Sheer Mag delivered one of 2017's best-reviewed rock records as well, with their full-length debut Need To Feel Your Love. Frolicking in a scuzzy, high energy blend that's equal parts punk and mainstream 70s-hard rock, lead singer Tina Halladay's voice may not appeal to everyone, but there's no denying, that when going full throttle, this band can kick up one hell of a classic-rock racket. 2. Dirty Water - Low Cut Connie: An at times fantastic bar band, also out of Philly, that has, like Ted Leo, always seemed on the cusp of a major breakthrough yet to come (Boozophilia anyone? ), Low Cut Connie was at their barrelhouse best again in 2017 with Dirty Pictures (Part 1). 3. 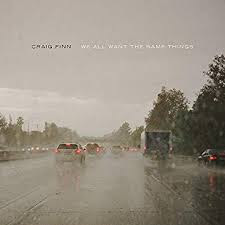 Enter Entirely - Cloud Nothings: This hard-rocking Cleveland lo-fi indie act was killing it a half-decade ago, when, along with Canadian compatriots Japandroids who appear later in this mix, they were landing multiple appearances at all the world's major rock festivals. 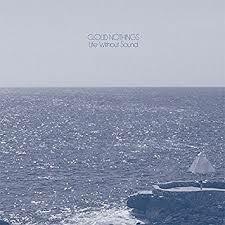 Things have cooled off for them as we near the decade's close, but to my ears, that has way more to do with those shifting millennial/post millennial tastes than it does with quality of the band's output, which, as evidenced by this raspy rocker from their 2017 release Life Without Sound, remains quite high. 4. 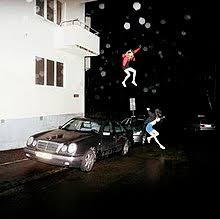 Can't Get It Out - Brand New: In my opinion, Brand New's brooding Science Fiction , the Long Island Emo acts first album in eight years, was the best straight-up rock album of 2017 - hyper intelligent, inventive, and magnificently produced. But some very disturbing and by all accounts legitimate #metoo allegations surfaced late in 2017 regarding lead singer Jesse Lacey's Anthony Weiner-ish text interactions with underaged female fans a decade earlier. Based on the strength of the work, I decided to keep this track and 451 in this mix, but wanted to flag this issue in case you would prefer to skip these two songs. 5. 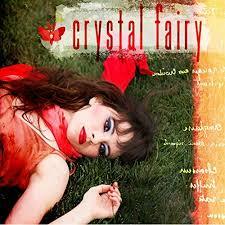 Crystal Fairy - Crystal Fairy: This super jammy track hails from the debut album of an LA-based supergroup comprised of The Melvin's Buzz Osborne and Dale Crover, At The Drive In/Mars Volta's Omar Rodgriguez-Lopez, and the charismatic, often terrifying Teri Gender Bender of Le Butcherettes on vocals. 6. 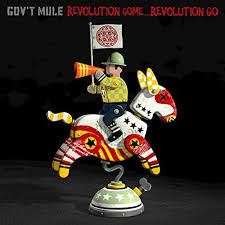 Stone Cold Rage - Gov't Mule: Pure Southern-Fried excess from the opening track of Revolution Come...Revolution Go, the latest release of the long-running side project of the Allman Brothers Band's Warren Haynes and Allen Woody. 7. 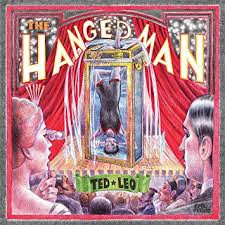 You're Like Me - Ted Leo: This track, though very much in the traditional Pharmacists' vein, actually comes to us from the first full-fledged solo effort of Leo's long career, 2017's The Hanged Man. 8. Make It Right - Foo Fighters: The Foo Fighters have never been a band I've tracked on much, but so many of my friends with harder rocking tastes told me how much they loved 2017's Concrete And Gold, I was happy to include a track from the album. 9. Pretty Prizes - Daniele Luppi: Though primarily a film composer, Italian Daniele Luppi has been known to collaborate on pop records from time to time. On 2011's Rome, he teamed up with Gnarls Barkley/Broken Bells pianist/songwriter/megaproducer Dangermouse. On this track here, from 2017's Milano, an entertaining concept-album look at the quirks of Milan's fashion scene, he joins forces with New York's Parquet Courts and The Yeah Yeah Yeah's Karen O. 10. 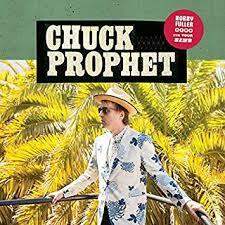 Alex Nieto - Chuck Prophet: Journeyman rocker Prophet has characterized his 2017 release Bobby Fuller Died For Your Sins as a California noir, a meditation on the differences between the California dream and the Golden State's reality. And on this track here he dives right into the nitty gritty, with his passionate take on the tragic high-profile shooting death of the taser-wearing but otherwise unarmed Hispanic security guard Alex Nieto by four police officers in a San Francisco park in 2014. 11. 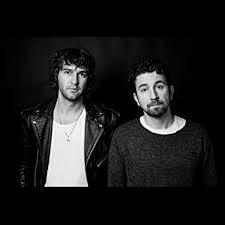 Near To The Wild Heart Of Life - Japandroids: Near To The Wild Heart Of Life, Japandroid's full-length follow up to their 2013 breakout smash Celebration Rock, didn't receive quite the critical praise of its predecessor, but it still offered up its fair share of winning tracks. In addition to the title track here, I definitely recommend people check out the drum and guitar duo's Arc Of Bar, which was the final track I cut to get this mix to time. 12. 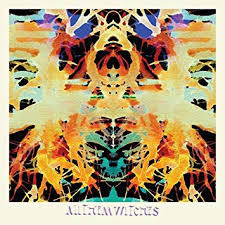 Alabaster - All Them Witches: Sleeping Through The War, this Nashville outfit's latest effort, was one of the more unusual and intriguing releases of 2017, a compelling, atmospheric mix of long, spacey, Tex-Mex flavored, metal-tinged grooves. If you like Alabaster here, you're going to like near everything on the album. 13. 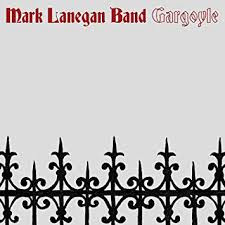 Emperor - Mark Lanegan Band: Just another sturdy rocker from former Screaming Tree's frontman Lanegan's sturdy 2017 release Gargoyle, his fourth record in a row with his now solidified backing band, and possibly his best outing overall since 2004's phenomenal Bubblegum. 14. 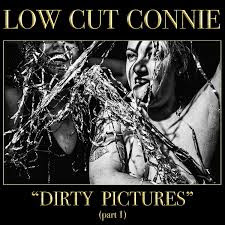 Controversy - Low Cut Connie: Awesome cover here from Low Cut Connie's Dirty Pictures (Part 1), where they take the Prince classic and make it unapologetically their own by converting it into a pure bar band rocker. 15. 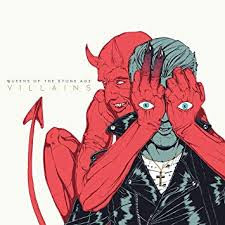 The Evil Has Landed - Queens Of The Stone Age: Queens Of The Stone Age's seventh full-length Villains rates amongst the most consistent records of the their career. 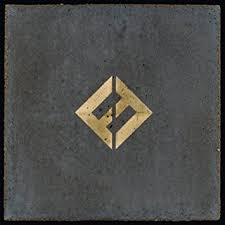 Every song is solid, and the production, as is the norm for a Josh Homme-led effort, is innovative and at times spectacular. On the downside, the album feels lower in those home-run moments one typically associates with the band, that is, until the final two minutes of The Evil Has Landed here. 16. God In Chicago - Craig Finn: The Hold Steady has been defunct for four years now (though rumors of a reunion have surfaced recently), but this track, whose lyrics provide the title for Finn's third solo effort We All Want The Same Things, shows that the master storyteller's lyrical strengths are still in excellent form. 17. 451 - Brand New: One more from Science Fiction. 18. Bobby Fuller Died For Your Sins - Chuck Prophet: We end with the lightest, closest-to-pop song on this mix, but also, imho, the best. Love the tie-in to Fuller's Let Her Dance at the end.